Despite how my post of the other day sounded, I believe Richard Armitage is an introvert, and in my opinion, most rabid fans are introverts as well. We love his ability to use his solitude to create these characters who touch us so deeply, and who make many of us get alone with ourselves and ask ourselves questions about why we may or may not do certain things in our lives. For me it was the creative urge which I had squelched for a long time. This one little slice of data has the ability to create so many misunderstandings and should be a lesson that when the Internet is wrong, it can be really wrong. So what is an introvert? A good definition and a little history of personality theories can be found here. 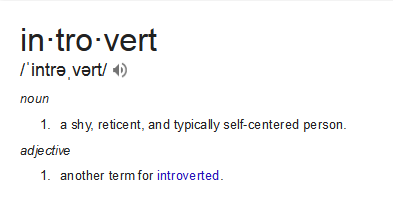 Obviously the most significant misconception is that introverts are shy. I am an introvert, and I’m married to an introvert, yet it’s been a long time since anyone accused us of being shy. SO and I are often in social settings due to his profession. and when we’re in that setting, we can almost look like the quintessential extraverts because we aren’t shy. However, we both desperately need alone time. and this can often be mistaken for selfishness. Whatever someone wants to think, I cannot always be in the presence of people or even mostly in the presence of people and neither can SO. Some of our closest friends have shaken their heads at how we are about getting alone, which means not only removing ourselves from the stimulation of other people but sometimes from each other. This allows each of us to process life. I call it stepping out of the fray. Frankly, if we had not both been introverts, I don’t think our marriage would have survived. Given all of that, how am I surmising Richard Armitage is an introvert? He’s told us he is. Maybe he hasn’t said those words (or maybe he has and I missed it), but he’s made it plain that he spends copious amounts of time reading and more important, processing. Then there are his latent writer tendencies with the back stories for his characters. Add to that his own admission of sequestering himself at times from his cast mates. He’s also said he hates things like the red capret, and yet when you meet him one-on-one, he’s very at ease and charming. Introverts can much more easily handle an intimate meeting than a big crowd, which means it’s better to meet him one-on-one. I’ve observed him both ways and much prefer the latter. I’m not sure that can be said for most actors. Once the mask is off and no words are written for them, it seems most are a little dull. It should be noted that someone’s degree of introversion is on a continuum, so that we’re not all the same. note: when I was younger and aggressively trying to make a mark in my profession, I was given the Myers-Briggs test. Actually, it was administered twice over the course of my tenure with a particular company, and I was an ENTJ both times. Years later I took the test again and was an INTJ, which I believe is closer to my true personality. edit: I was actually an ENTJ and then an ENTP years ago. I think I knew at the time that I needed to be an extravert to get ahead where I was working, but I was NEVER comfortable with that. 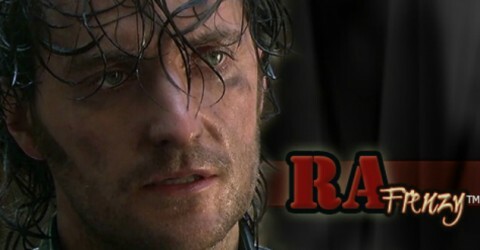 And yes, I’m curious about what personality Richard Armitage may be. I can speculate, but obviously I can’t fully know. 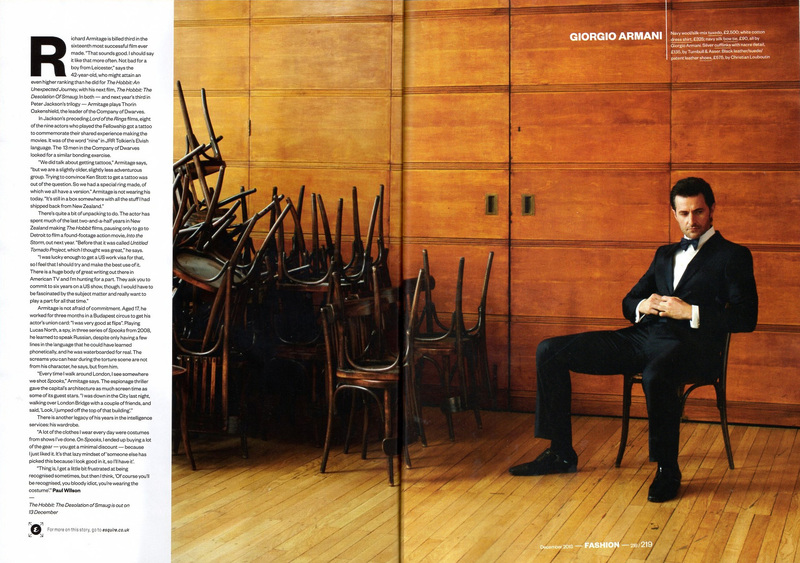 note: if you like the photo above of Richard Armitage, then buy the individual issue of Esquire UK that has the original, or better yet, subscribe to the magazine.